Kiss those microtransactions and free-to-play trappings goodbye! 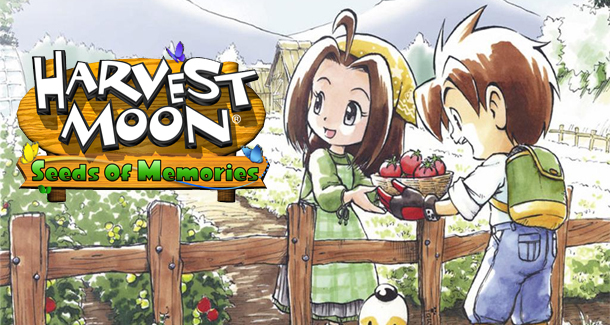 Natsume's Harvest Moon: Seeds of Memories is an interesting title. It was announced last year during E3 and touted as a "true" Harvest Moon game for iOS, but it ended up making fans cautious: Would it really be worth picking up if it would be riddled with microtransactions? It seemed ripe for Natsume to add such frustrations to, but now it seems the simulation gods have smiled upon us and have in fact released this plucky little iOS game as a fully paid adventure. It's out for just $10, and it looks absolutely worth grabbing! Check out the trailer above for a brief look at what you can expect from the adorable Harvest Moon excursion, and keep an eye out for our review coming soon. We're big Harvest Moon/Story of Seasons fans here, and can't wait to see more from Natsume as the year wears on. This is definitely a step in the right direction, so hopefully this is what will end up being released in the future.